Hossein Alizadeh, a leading Iranian classical composer and musician, has refused to receive France’s Chevalier of Legion of Honor to be only known as an artist with no prestigious title. Hossein Alizadeh, a leading Iranian classical composer and musician, has refused to receive France’s Chevalier of Legion of Honor to have his name bereft of any titles. 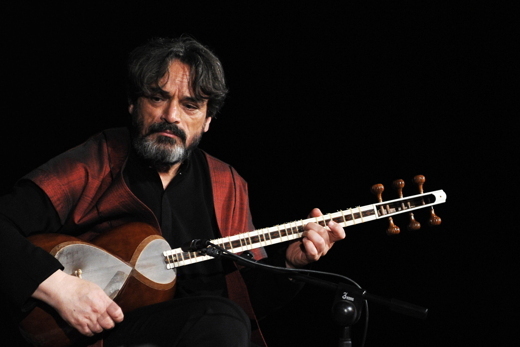 Hossein Alizadeh is considered as one of the most important figures in contemporary Persian music, exemplifying excellence in traditional Persian music today. He has studied Composition and Musicology at Berlin University, and taught at University of Tehran and Tehran Music Conservatory. He has been nominated three times for the Grammy Award. He received a nomination for the 2007 Grammy Award along with Armenian musician, Djivan Gasparyan, for their collaboration album, The Endless Vision in the “Best Traditional World Music” category. Alizadeh expressed gratitude to Iranian officials and the embassy of France in a letter, and refused to be awarded the France’s Chevalier of Legion of Honor in order to honor the Iranian patrons of art, and instead chose to be only known as Hossein Alizadeh with no prestigious title. Other notable Iranian artists who have received France’s Chevalier of Legion of Honor include Iranian filmmaker Dariush Mehrjuii, Iranian author Mahmoud Dowlatabadi, mostly famous for his novel “Kalidar”, Iranian cartoonist Kambiz Derambakhsh, and Iranian vocalists Mohammadreza Shajarian and Shahram Nazeri.